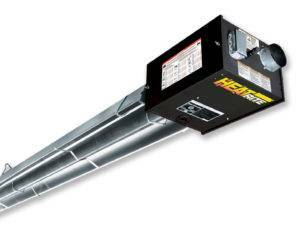 Heat-Rite VM Modulating Heaters use infrared heat to warm the floor and birds. Modulating controls the burn and blower rates to balance radiant heat and thermal heat. A broad range of burner sizes and tube lengths are available to fit the needs of any barn.